While much of my volunteering consisted of work in an office, there were a few opportunities to go out in the community and practice the skills learned in class firsthand. One day in November, I joined Milagros (my supervisor), a U of I professor and MD, and another doctor to go to Beardstown. Having lived in the Chicago suburbs for the entirety of my life I am generally not well versed on the areas surrounding Champaign- so this was an interesting experience to see a community in the area. with a large Spanish-speaking population. 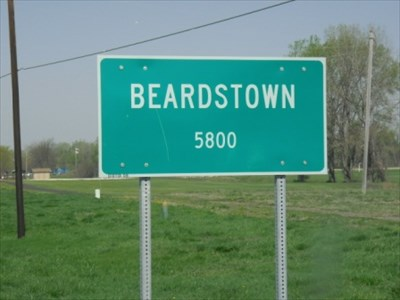 Beardstown is about two hours away from Champaign, relatively close to Springfield. The interested women met us in a church in town and were educated on the benefits of being a health “educadora” in the Abriendo Caminos program. Essentially, they become educated on healthy eating, exercise, and positive family relationships. Though this education, they become more empowered and confident, all while serving as a resource to others in the community who have questions regarding a healthy lifestyle. Additionally, the two doctors were on hand to examine BMI, height, weight, and heart rate. Many of us are fortunate enough to have health care readily available to us at a reasonable price due to insurance. However, this was not the case for many of the women in Beardstown. While speaking to them, we learned that the nearest doctor’s office was in Springfield (approximately an hour and a half away). Another consideration was transportation- many of these women did not own cars or did not have one available to them at all times. I found the trip extremely enlightening in terms of realizing all the things one takes for granted- such as transportation and healthcare. Moreover, the trip made me aware of the gaps volunteers can fill in these underserved areas. Where there is a fault of resources, giving up a fraction of one’s day can allow for others to gain vital services that are normally unattainable. The trip was also an enjoyable social experience and opportunity for me to practice my speaking abilities with native speakers of Spanish. I got to interact with members of the community by asking them to fill out name tags, passing out educational materials, and recording the information the doctors gathered regarding their health. Although I was kind of nervous about this at first, thinking my Spanish would be too basic to perform these tasks, I quickly realized how appreciative everyone was of the services and forgot my apprehensions. Another take-away from the trip was how accepting everyone was of my Spanish-speaking abilities and how grateful they were to be receiving these services. The trip to and from Beardstown also proved to be an effective way for me to practice my Spanish-speaking skills. As I mentioned above, my supervisor, a U of I professor, and a doctor from the community all coordinated the trip. Each one of them speaks Spanish, but each speaks a unique dialect. It was really interesting to see the similarities and differences among the Puerto Rican, Mexican, and Argentinian varieties of Spanish. We spoke Spanish essentially the whole trip, which was exciting because I got to practice it in a more informal setting. Besides that, it was great to get to know these three women on a more personal level and get to see their passion for helping the community. They displayed such gratitude that I came on the trip, being thankful for every task I did (no matter how minuscule). Overall, the trip was a great cultural and linguistic experience and taught me just how grateful others are for things that I daily take for granted.